Clean beach, white stretches of sand, activities like kit surfing and huge options for food and drinks, this beach is a popular tourist destination in Cape Town. 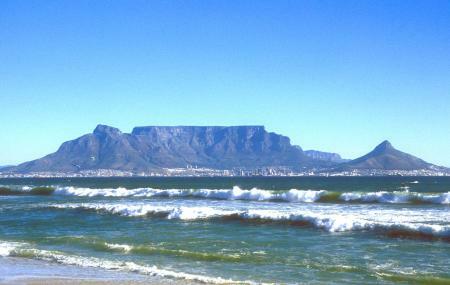 Also, visit the popular attractions in the city by following Cape Town itinerary 5 days. How popular is Bloubergstrand Beach? People normally club together Iziko South African Museum and Jade Lounge And Champagne Bar while planning their visit to Bloubergstrand Beach. People also prefer to end their day with Bloubergstrand Beach.